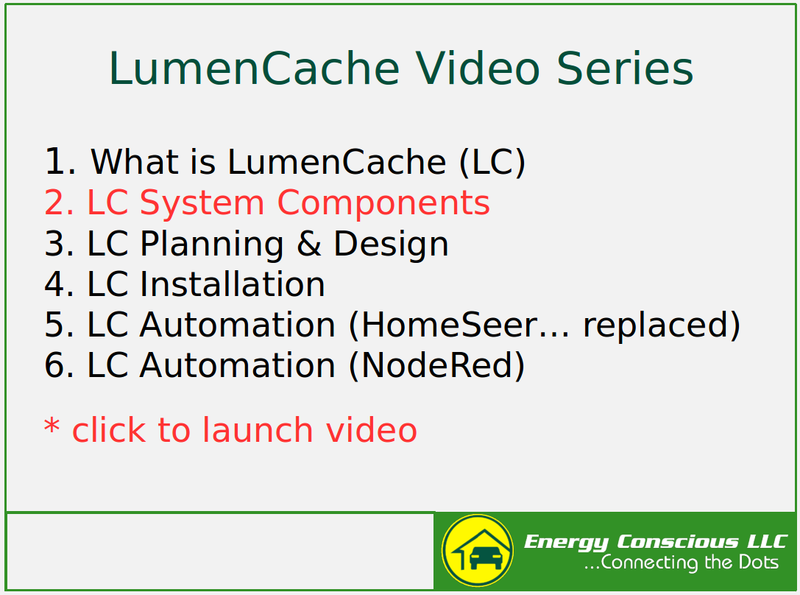 5/2/2017 – Part two of a six part video series on a smart DC lighting technology that runs over CAT5 called LumenCache… System Components. We are quickly moving toward smart homes powered by clean energy. This includes the addition of Solar (PV) systems that are starting to include battery storage. Many of these clean energy adopters are using this Solar to power their new electric vehicle (EV). The key here is that all of this major new production and consumption in the home is DC power not the AC everyone has grown up with. What most people do not realize is that our homes have been shifting toward DC power for over a decade and the pace is accelerating. The reason is semi-conductors… they are in pretty much everything nowadays. All our digital technology from TVs, video players, and smart phones to LED lighting and much, much more is powered by DC. So what if we could power our LED lighting directly from the Solar instead of converting it to AC just so we can move it thru the house and turn it back to DC at each and every LED bulb? We can… using a new technology called LumenCache. – Torchstar LED… Off the shelf LED light that can be adapted to the Lumen Cache Model. – Raspberry Pi… New open source IoT hardware platform. – NodeRed… New IoT software platform available preloaded on the Raspberry Pi.